After the 69th Television Academy Emmy Award show, host Stephen Colbert and over 4,000 nominees, award winners and entertainment luminaries, walked the red carpet into the Los Angeles Convention Center for the largest after-party in Los Angeles. 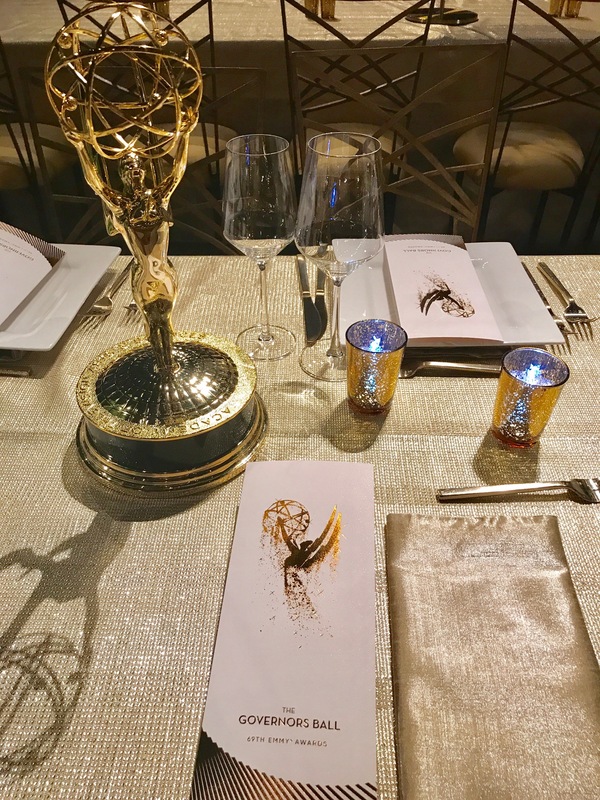 The room was aglow in gold for this year’s Governors Ball produced by Cheryl Cecchetto’s Sequoia Events. Award-winning bartender Charles Joly designed the signature Emmy cocktail for the Governors Ball – The Hilhaven Lodge Fireside. He handed one to Colbert celebrating his successful night hosting The Emmy Award show at the Microsoft Theater. This special cocktail is made with The Hilhaven Lodge Blended Straight American Whiskey. This unique spirit is a blend of three whiskeys from three decades. Joley adds a splash of absinthe, spiced pear liquor, simple syrup, fresh lemon juice and ginger beer. A splash of ginger beer. Preparation. Shake, pour into Collins glass over ice. Top with a splash of ginger beer and garnish with a fresh sage leaf and lemon slice. Here’s a fun fact: In 1927 Hilhaven Lodge was built as an entertainment hideaway nestled deep in Beverly Hills. Currently Hollywood Director Brett Ratner owns the posh Hollywood hot spot.